Norway has many world-class attractions. According to UNESCO, some of our cultural and natural attractions are so unique that they are considered to be treasures that belong to all of humankind. People have been living in these deep valleys and narrow fjords since time immemorial, and you can still see traces of ancient settlements. The Art Nouveau town of Ålesund is in a stunning location facing the open sea on the north-western coast of Western Norway. The town has an exceptional concentration of Art Nouveau architecture due to the fire that devastated the town in the early hours of 23 January 1904. Architects and craftsmen came from all over Norway to help rebuild the town. Ålesund was transformed into an attractive Art Nouveau style town with a Norwegian slant. We recommend a guided city walk and a visit to the Art Nouveau Centre. Then it's time to get ready for the first World Heritage attraction – the Geirangerfjord. Together with the Nærøyfjord, it is inscribed on the UNESCO World Heritage List as an outstanding example of the fjords in Western Norway. Find a window seat or a good spot on deck on the car ferry from Hellesylt – the view is amazing! See waterfalls such as ‘De Syv Søstre’ (the seven sisters) and ‘Brudesløret’ (the bridal veil), as well as snow-capped mountains and trees clinging to the steep dark walls of rock. The abandoned farms Skageflå, Knivsflå and Blomberg sit on mountain ledges high above the fjord. The information centre Norsk Fjordsenter tells you the story behind this unique landscape – don’t miss the special panoramic film. After you have walked the steps leading you along the waterfall in the centre of Geiranger, you will climb up the Rv63 road to Dalsnibba. From this viewpoint, you can experience what is perhaps one of the most beautiful panoramic views in Norway. Stop by Flydalsjuvet and sit in the Queen's Chair (Dronningstolen). In the last century, the Scenic Route Gamle Strynefjellsvegen was the only road between Skjåk and Stryn. Along this mountain road, which is more than 100 years old, you will see old hand-built walls and long rows of guard stones. The scenic Stryn and Loen have attracted visitors for more than two hundred years. Here you will find majestic mountains, beautiful lakes and impressive waterfalls. Venture up Mount Hoven with the Loen Skylift cable car, which takes you from the fjord to 1,011 metres in 5 minutes. After that, you can drive through the tranquil and beautiful Lodalen, which has a dramatic history. You wouldn’t believe that there have been two landslides in this quiet valley in former times, which caused extensive damage. Kjenndalsbreen glacier, an arm of the magnificent Jostedalsbreen glacier, is at the head of the valley. Just after Skei, we recommend a detour to Astruptunet, a folk museum dedicated to the beloved artist Nikolai Astrup, which is beautifully situated by the long Jølstravatnet lake. 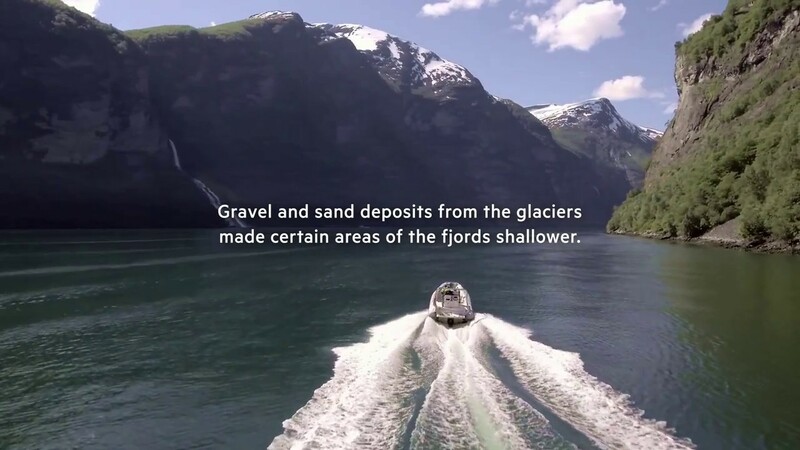 The Norwegian Glacier Museum in Fjærland has fascinating exhibitions on the inner life of glaciers, and you can learn about how Norway was shaped by the mighty forces of nature. 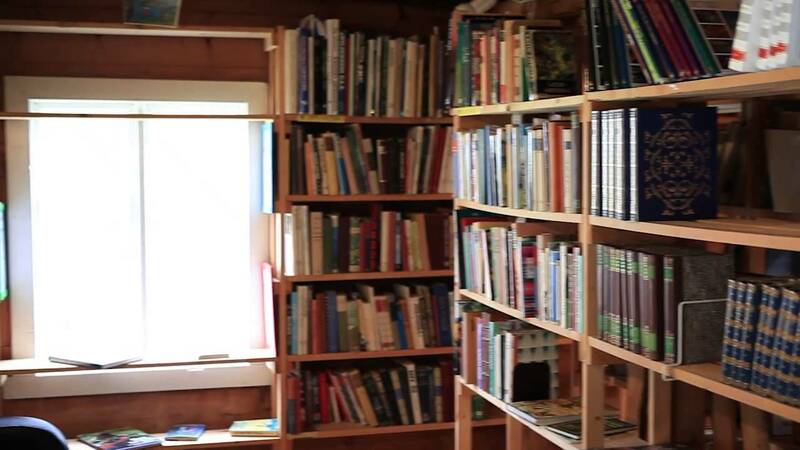 After a visit to the museum, Norway's most unique bookshop awaits. The Norwegian Book Town is full of second-hand book stores, handicraft shops, art galleries and cafés, scattered across this little village by the fjord. The Rv5 road cuts across the mountain to Sogndal, a village that is beautifully situated in one of the Sognefjord’s northern fjord arms. The ice gouged away 5,400 km3 of rock to shape our longest fjord! Hard bedrock was sculpted by the ice and the deposits it carried at the rate of half a metre every thousand years. The idyllic Solvorn is only a short distance from Sogndal. Before taking the ferry across the Lustrafjord, the venerable Walaker Hotel is well worth a visit. This is the oldest hotel in Norway that is still in operation. After the ferry ride, you can walk up to the oldest stave church in the world. Urnes was built more than 850 years ago, and is now inscribed on the UNESCO World Heritage List. The tar-covered wood with its magnificent carvings seems almost completely black in the sunshine, in sharp contrast to the blue fjord and the lush green fields. Kaupanger is not far away, where you will find both a folk museum and a boat museum. After that, why not take a detour and visit Lærdalsøyri, one of the best-preserved villages in Norway? It is worth mentioning that Borgund Stave Church is also just 27 km further east along the E16 – this is one of the most beautiful stave churches in Norway. The best way to experience the fjords is by boat. The ferry from Kaupanger to Gudvangen goes west on the Sognefjord, and then continues on the beautiful Aurlandsfjord before finally entering the Nærøyfjord. At its narrowest, the banks are only 250 metres apart. Please note that this ferry only runs from mid-May to mid-August, and we recommend booking a ticket in advance. It is not hard to understand why this fjord is on the UNESCO World Heritage List. The Nærøyfjord winds its way through an unspoilt landscape, past steep mountainsides and waterfalls all the way to Gudvangen. Abandoned farm clusters cling to the mountain ledges. In the olden days, the fjord was the most important means of travel, and the village Undredal was without a road until 1988! In Gudvangen, you can travel a thousand years back in time in the Viking village of Njardarheimr, where you can walk among real Vikings and learn about the people who lived here in the narrow fjord arms in ancient times. Leaving Gudvangen, follow the valley floor along the river before the old road winds its way up Stalheimskleiva's 13 hairpin bends. Stalheim Hotel is at the very top. The hotel houses the best private folk museum in Norway, and the garden at the back has an incomparable view of the Nærøyfjord. The road continues to Voss, a mountain town with strong cultural traditions. We recommend a visit to the folk museum before you continue to Bergen. The old Hanseatic Bryggen wharf is a thriving cultural gem inscribed on the UNESCO World Heritage List. The characteristic row of gabled buildings facing the harbour, Vågen, represents a building tradition going back almost 900 years, and was a common sight in many European harbours in the past. The current buildings date back to 1702, when they were re-erected after one of the many fires that ravaged Bryggen. In the Middle Ages, the wooden alleyways were the headquarters of the Hanseatic merchants running Norway's lucrative exports of stockfish. 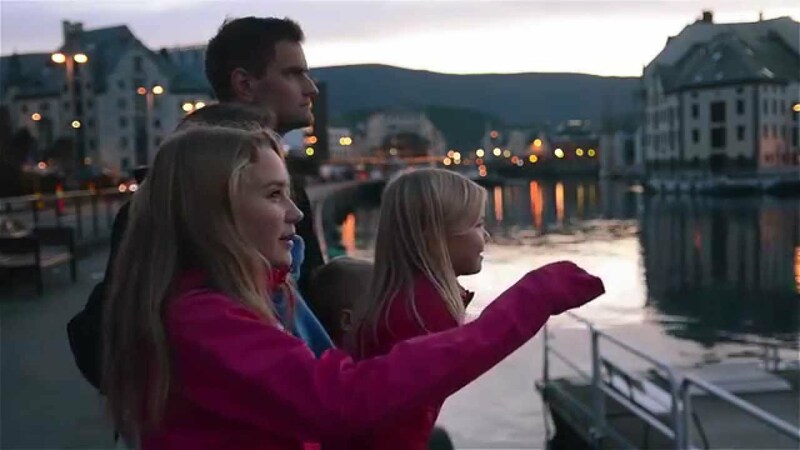 Visit Bryggens Museum and the Hanseatic Museum for extra insight into Bergen’s past – and a city walk with a guide is not to be missed. One of the steepest roads in Northern Europe, built during 1842-1846.